Capel Manor Gardens and estate provide a colourful and scented oasis surrounding a Georgian Manor House and Victorian Stables. It offers a unique opportunity to see behind the scenes at Greater London's only specialist College of Horticulture, Floristry, Garden Design, Tree Surgery (Arboriculture), Animal Care and Countryside Studies. With over 60 show gardens and landscapes to explore including themed gardens; the Japanese Garden, Secured by Design and Le Jardin de Vincent, plus historical gardens; the Walled Garden, Italianate Maze and 17th Century Garden as well as the Old Manor House Garden (phase 1 of which was opened by Her Majesty the Queen in June 2010, inspiration awaits round every corner. It's also a great opportunity to see some previous Chelsea Flower Show medal winners! With a variety of shows and events planned throughout the year there's more to discover at Capel Manor. 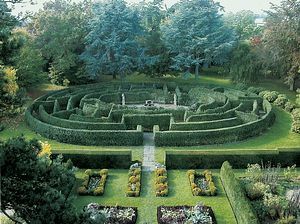 Visit Capel Manor Gardens website for more information. Garden gift shop and plant sales. Group visits and guided walks (by arrangement). Disabled access around most of the estate, including toilets. Free wheelchair loan and motorised scooters (please book). Just off J25 of the M25.